The supply of water will always be limited, and treating dirty water is expensive. Governments and communities can educate the public and restrict water use, but ultimately it's the responsibility of individuals to use water wisely. Taking short showers and planting drought-resistant gardens are just a few ways the average person can help the community conserve limited global water supplies. Find opportunities to conserve water in your home. 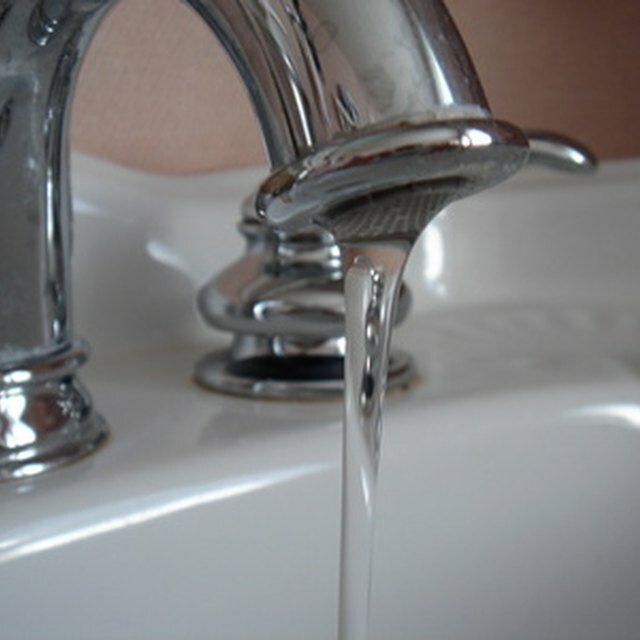 Fix leaky faucets as soon as the problem arises. Use water-saving showerheads and fixtures for your taps and toilets, and turn off taps when brushing your teeth or shaving. Keep a jug of cold drinking water in the refrigerator so that water isn’t wasted waiting for the tap to cool. Only run full washing machine and dishwasher loads, and use the lowest appropriate water level. Also, shorten showers as much as possible; shaving off just one to two minutes can save as many as 700 gallons per month. Find ways to conserve water in the yard that don't result in brown grass and dead plants. Apply mulch around trees and plants to slow evaporation and decrease your yard’s water demands. Use rain catchers or barrels to collect and store rainwater for use in the lawn and garden. Rainwater may actually be better for plants because it does not contain any added chemicals. Run sprinklers during the coolest part of day -- when leaves and roots can absorb the most water -- and aim them so water is not wasted on sidewalks or driveways. The best way for your community to curb water consumption is through awareness. Educate others in your community about efficient water practices, and spread this information to as many people and other communities as possible. Communities can also work with grant programs to fund conservation projects to help reduce fresh water usage, while also encouraging local governments to pass water-saving ordinances. Governments set water quality standards, issue water-use permits and ensure reliable supplies for the communities they serve. They also have the power to control consumption rates. Because it is the government’s responsibility to prepare for drought and emergency situations, most water agencies promote efficient water use and water conservation. They educate citizens through public service programs and announcements, and by partnering with local conservation groups, such as the Environmental Protection Agency’s WaterSense program. Since graduating with a Bachelor of Science in zoology, Elizabeth Sheldon has had the opportunity to travel between Portland, Chicago, Detroit and London, where she worked in social media marketing and wrote science-related articles. During her time at Michigan State University, she challenged herself further in the sciences by completing concentrations in ecology, evolution and organismal biology. Sheldon, Elizabeth. "Ways That Communities or the Government Can Conserve Water." Sciencing, https://sciencing.com/ways-communities-government-can-conserve-water-19029.html. 25 April 2018.